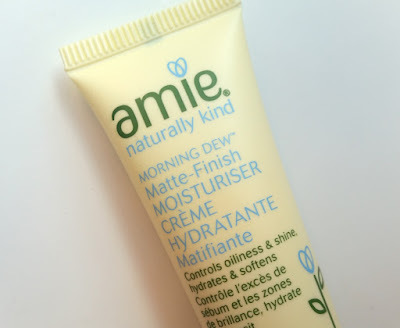 The Amie Morning Dew Matte Finish Moisturiser absorbs quickly and within seconds the skin has a lovely matte finish - so far so good. 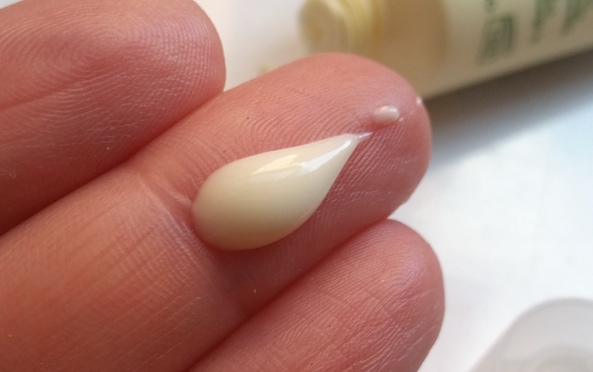 As with all matte finish moisturisers though, the real test is how long it's going to last. 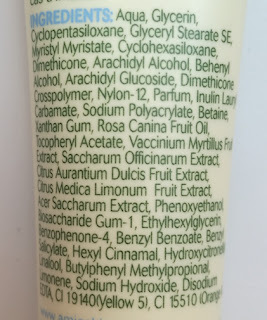 On my skin without makeup, this moisturiser manages to clock in a matte time of around an hour or two. When I have a full face of makeup on, we're looking at another hour or so on top (for the purpose of testing I didn't wear mattifying products, so it will likely be longer with the use of those). As this moisturiser is mineral oil free, there is no greasy feeling on the skin after application. Instead, the skin feels smooth and silky to touch, kind of like how it can feel after applying a matte primer. Hydration wise I think that this does provide a sufficient amount that lasts throughout the day. Skin doesn't go out of whack and begin over-producing oil, so that's a good sign. I think that the matte finish is particularly good underneath makeup. Like I said, it does have a matte primer type of feel to it when on the skin so when used together they appear to be a good base team-up. Overall, whilst this may not be the best matte moisturiser that I have tried, it is one of the best, if not the best, that I have tried at this price point (it's only £4.95!). If you don't like spending a fortune on your skincare, this moisturiser is a solid choice to try out without breaking the bank. 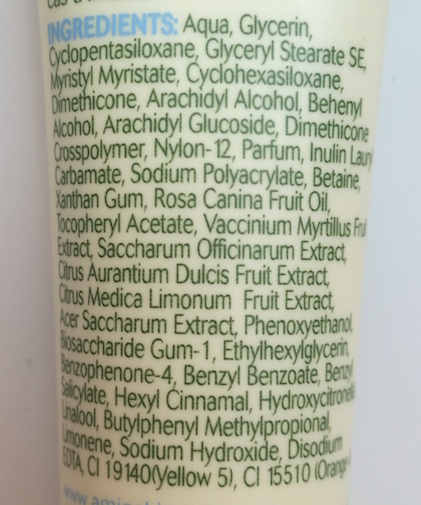 I would say that this moisturiser is best suited to those with either combination skin or only slightly oily skin as it won't be enough to tame super oily skin. 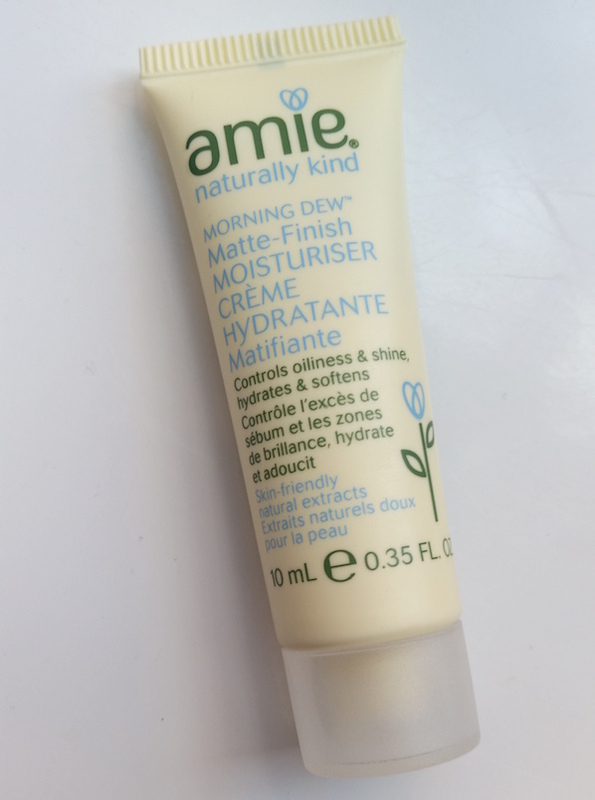 You can purchase the Amie Morning Dew Matte Finish Moisturiser from Birchbox. What are your thoughts on the Amie Morning Dew Matte Finish Moisturiser? What's your favourite day time moisturiser?